Family-owned and operated Forest Security, Inc. is a leader in providing home security systems in the Greater Chicago Metropolitan Area. Forest has been installing state of the art wireless home security systems to customer throughout the region for over 35 years. Their team of installation technicians possess a century’s worth of combined experience in the industry. No sub-contractors here. All Forest employees are expertly trained, are fully vetted and carry perc cards as required by the state of Illinois. When one thinks about the fact that a burglary occurs every 15 seconds in the United States, it’s no wonder that so many people within Chicagoland choose Forest Security for their wireless home security systems. Once a home is protected with a Forest Security System, it is 15 times less likely to be burglarized. It is easy to see why when Melrose Park residents are looking for the most reliable home security systems, the only name they need to know is Forest Security. 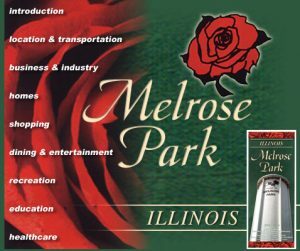 Melrose Park, Illinois has over 25,000 residents in Cook County. Forest Security is conveniently located less than four miles northwest of Melrose Park. Customers in Melrose Park have come to depend on us for the installation of all of their home security and home automation systems. Our Melrose Park clients know all too well that Forest Security will ensures their homes and families are protected with the best home security system available today. In addition, those wireless security systems will be customized precisely for their needs and their budgets! It is no wonder that Melrose Park residents place their trust in Forest Security time and time again! In addition to providing the critical 24/7 home security system that customers deserve, we also offer exceptional customer support services as well. Forests’ highly-skilled technicians have acquired a minimum of five years of experience before they ever step foot into your home. Once you have a Forest Security system in your home, you will be able to sleep soundly knowing that we are keeping an eye on your home so you won’t have to! Consequently, you can anticipate that Forest Security not only will we meet all of your expectations but we will most likely exceed them. With extraordinary wireless home security systems packages that offer professional installation, proficient technology, mobile access and unequaled customer support you are going to want to call Forest Security, Inc., today, at: (708) 452-2000 for your FREE, no obligation consultation and price quote.